Cocoon your skin in ethereal moisture with the Darphin Lumiere Essentielle Oil Gel-Cream, a glow-enhancing moisturiser for all skin types. 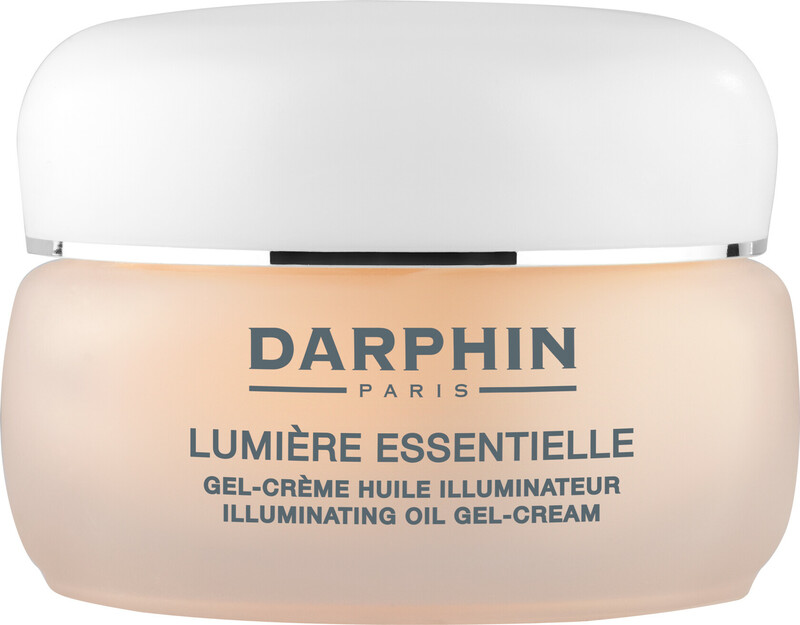 Made for complexions that lack radiance, the Darphin Lumiere Essentielle Oil Gel-Cream brings your skin back to life with its rejuvenating and glow-boosting properties. The Lumiere Essentielle Oil Gel-Cream targets a lacklustre skin type with its powerful botanic blend of citrus, floral, cedarwood and ginger essential oils. Infused with 82% of ingredients from natural origin, this cashmere-soft texture uses plant sugars to replenish lost moisture in your skin, whilst respecting your skin’s natural barrier. For best results apply the Darphin Lumiere Essentielle Illuminating Oil Serum, then apply the Darphin Lumiere Essentielle Oil Gel-Cream. 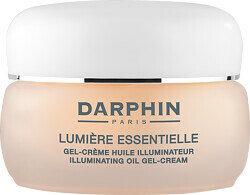 Darphin Lumiere Essentielle Illuminating Oil Gel-Cream 50ml is rated 4.0 out of 5 by 2. Rated 5 out of 5 by Devika from My First Darphin product I love this cream !! Like literally one of the only creams which adds glow but doesnt make the face oily under makeup. It is well moisturising and spreads well. Less is more when you use this . I use it as a part of my daily morning routine when stepping out ! When home i save it for later because for me its slightly towards a higher end for a day cream but I love the results ! Rated 3 out of 5 by RachelX from it has shimmering powder The cream is of very nice texture, and lovely smell as Dauphin always do. I have used several different collections of moisturiser, all are very good, and this time i decided to try the new Lumiere. However, this cream, not like others, contains shimmering powders to illuminate your face... I not really like this idea, it makes me feel like a foundation, or BB cream. so I use it only in the morning.